The Recruiting Committee seeks to recruit new members to the Society. This is done primarily by sending information about the Society to new members of the APS who have expressed a primary interest in United States Stamps. The results of these efforts can be seen each month in the Report of the Executive Secretary found in The Specialist. Members who wish to have brochures about the Society, including an application for membership, may contact the Chairperson. Members are urged to promote the Society among members of your local stamp club, or others with whom you come into contact. 1. Invite a fellow collector to join the USSS. Applications can be downloaded here. 2. 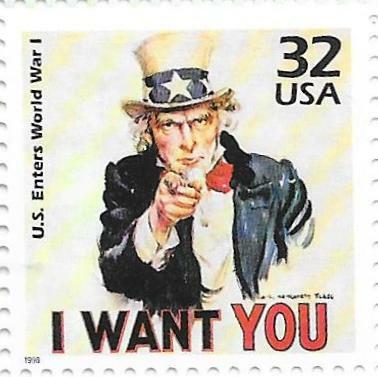 Include a USSS informational folder with any of your philatelic correspondence with non-members. 3. If you sell on e-bay, or any other auction site, identify yourself as a USSS member. 4. If you belong to a stamp club that holds a show, make some informational folders and applications available.